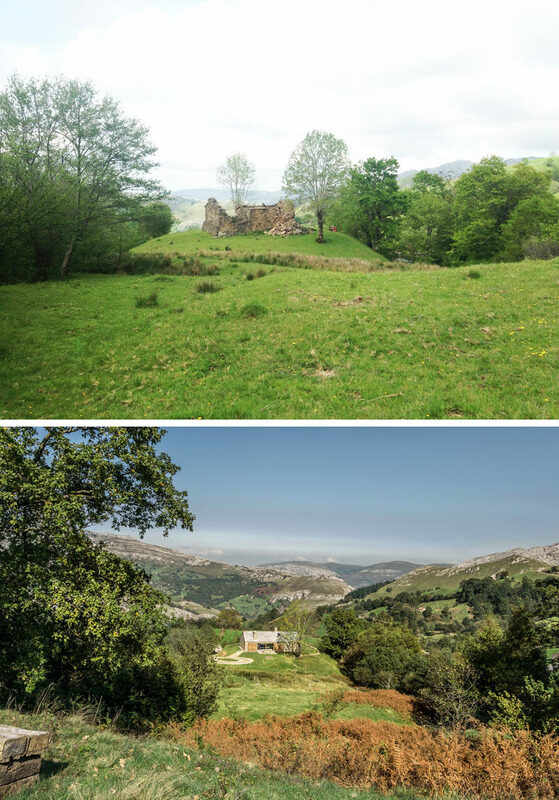 Laura Alvarez Architecture has designed Villa Slow, a holiday retreat in the North of Spain that replaced where a stone-ruin once sat. 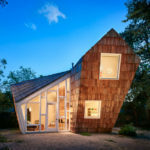 Based on a traditional construction called ‘cabaña pasiega’ (peasant cabin), Villa Slow is a stone cottage with a contemporary twist. 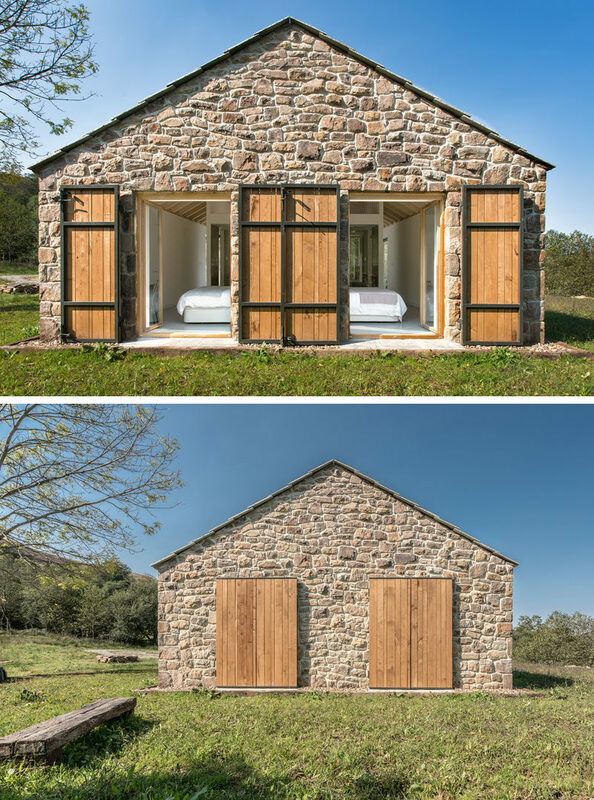 All of the materials used to build Villa Slow are reused from the old stone shed or come from the area of Cantabria. 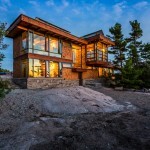 The rough exterior stone-walls and roofs contrast the bright white and wood contemporary interior. The main area of the cottage with a living room, dining area and kitchen has two large panoramic windows that face opposite directions. On one side, there’s a small patio with expansive views of the mountains and valleys in the distance. 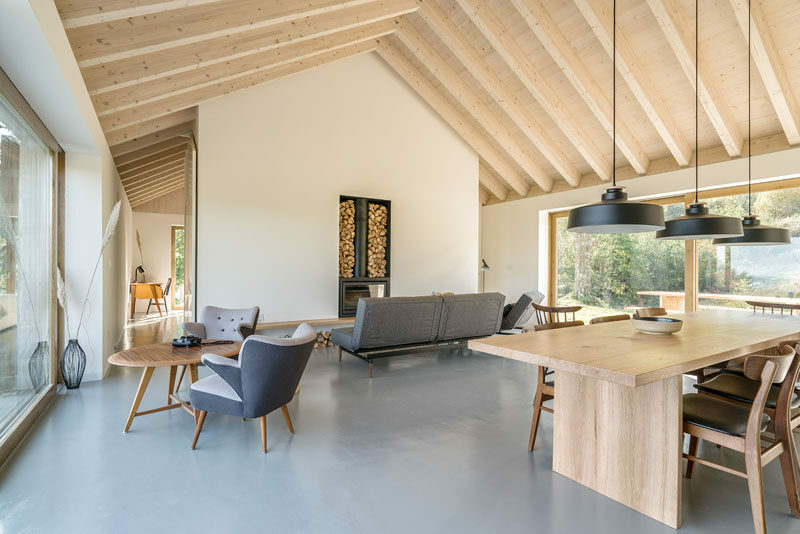 The interior has plenty of wood elements to give a warm feeling, while a combination of classic sitting furniture, minimalist elements and a fireplace create a very calm and relaxing space. On the other side of the living room there’s an outdoor dining area that opens up a grassy field. 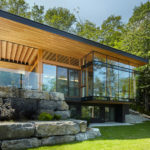 Large wood and steel doors can be closed to protect the cottage from the elements, and provide privacy if needed. The cottage has two bedrooms that are located down small hallways on either side of the living room. 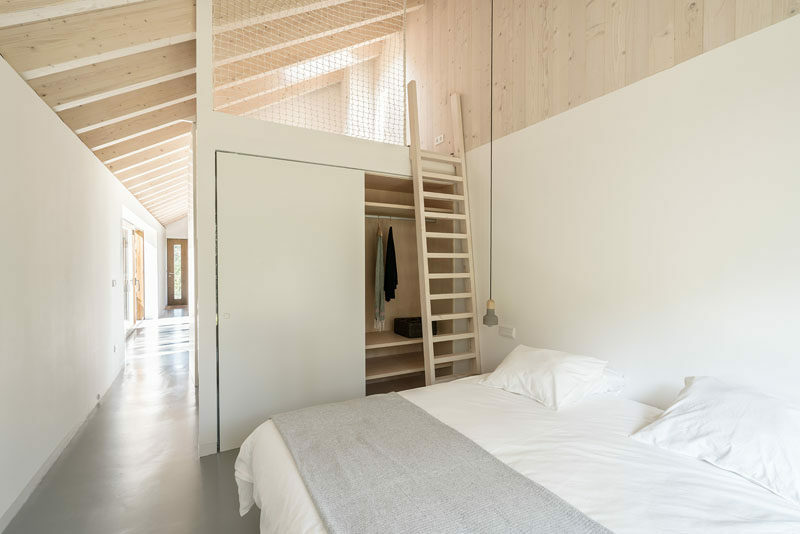 Due to the generous height of the ceilings, a mezzanine is located on top of the bathroom core to allows for additional sleeping areas that are suitable for a couple or children. 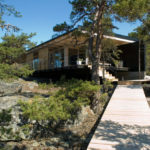 Each bedroom has its own fully equipped bathroom with a shower that has views of the bedroom. The bedrooms have been designed to be mirror images of each other, with high ceilings and minimal furnishings. 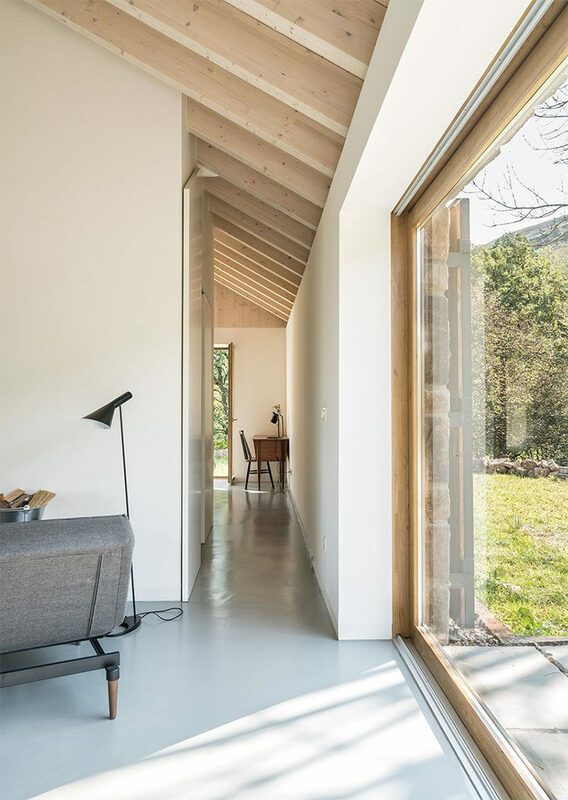 Both bedrooms also open up to the grassy area at the end of the cottage, and due to the position of the cottage, they receive the bright morning light. 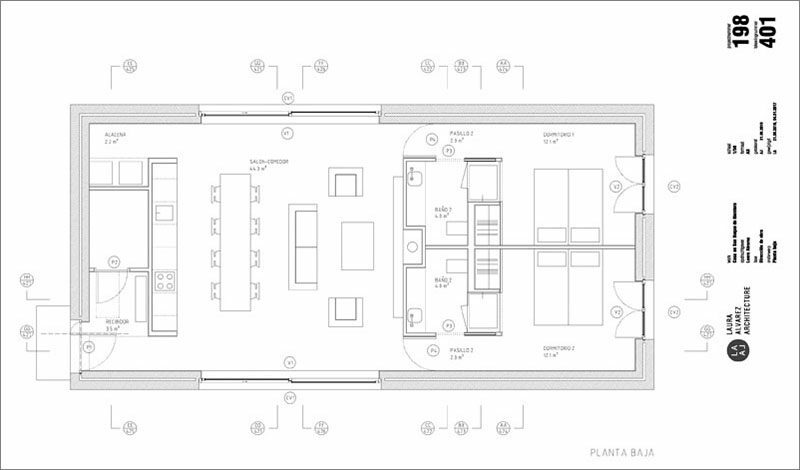 Here’s a look at the floor plan that shows the layout of the interior.